Boy: Mom! Mom! Uncle Jonas is here. Boy's Mother: No, it's not Tuesday today. Boy: But he is. He's here. 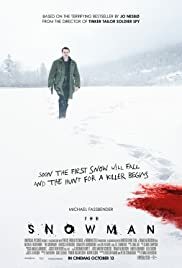 I can't deny that I had high hopes for this film and it disappointed me on many levels, but I do think some of the previous reviews are exaggerating just how bad 'The Snowman' is. The film is messy, even puzzling at times, and very frustrating to watch. It lacks focus and struggles to find its feet early on. It also contains some baffling individual scenes that contribute nothing to the plot or film as a whole. It improves as it goes along and, contrary to what a lot of others have said, I thought the ending was relatively well done. The film is more of a mystery than a horror and it did keep me interested and guessing until the end... though I'm sure the stunning Scandinavian scenery did the film a lot of favours in terms of watchability. 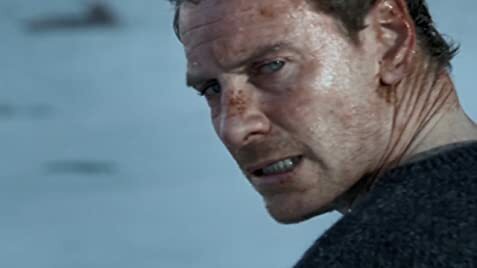 'The Snowman' is disappointing, but it does have some pluses and is not as bad as some are making it out to be.